The Foundation in the past & currently supports YAYASAN BALITA SEHAT-FMCH . Current support is shown on our WEB SITE . 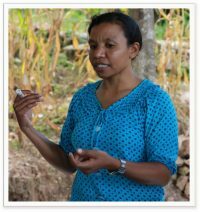 As well as their work in Jakarta there is a team in West Timor managed by Marsalina Selan ( Marsa ) who manages all the FMCH’s programs in West Timor. Below is a report which clearly shows the PHMF mission statement to help the UNDERPRIVALAGED IS needed here in West Timor. TTS District has the biggest amount of family population at East Nusa Tenggara which is 117,973 families. Furthermore, 72,232 families are categorized as underprivileged. (Source: BKKBN, 2014). Based on FMCH survey in Nunleu village in TTS District, an underprivileged family could earn as little as 100,000 rupiahs/month (£5.20) in good season and 50,000 rupiahs/month (£2.60) in bad season. High rates of maternal and child mortality are still a significant problem in the province of NTT due to geographical isolation and limited resources. There are 45 infants and 14.8 under 5 die for every 1000 live births. The Infant Mortality Rate in TTS District where FMCH work in the province of NTT by 2014 is 290 per 100.000 live births. Due to lack of awareness and the geographical challenges, many women in this province are still giving birth at home. Since March 2014, FMCH Indonesia launched a pilot project, working with the midwife from the local health office, to deliver Pregnancy Classes to contribute to the fight to reduce maternal and infant mortality, and malnutrition.